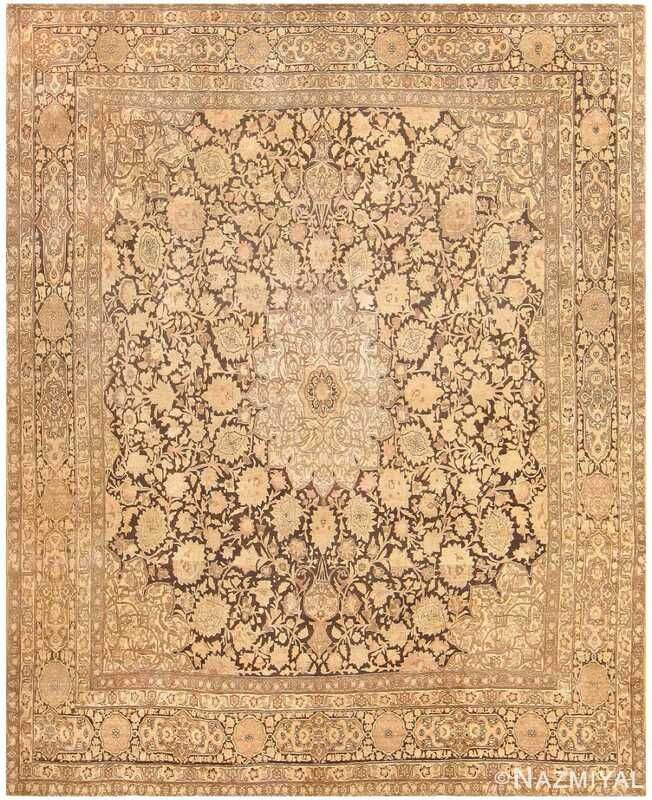 Brown and gold throughout, this Tabriz features impeccably drawn floral details and line work, as well as an exceptional central medallion. Ardabil Design Antique Brown Color Persian Tabriz Carpet, Country of Origin: Persia, Circa date: Turn of the Twentieth Century - Here is a truly impressive antique Oriental rug - an Ardabil design antique Tabriz rug that was woven in Persia around the turn of the twentieth century. Among antique Persian rugs and carpets, those of Tabriz origin are celebrated as being among the most beautiful and the most impeccably woven. 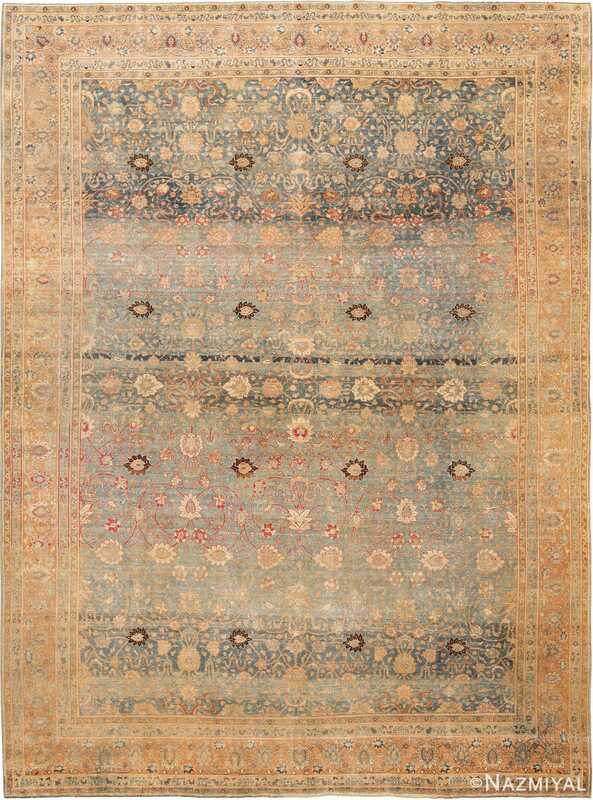 An example of Persian "city rugs," antique Tabriz rugs and carpets are celebrated for their refinement, and for the precision of their weaving. This example showcases these trends in a very immediate way. 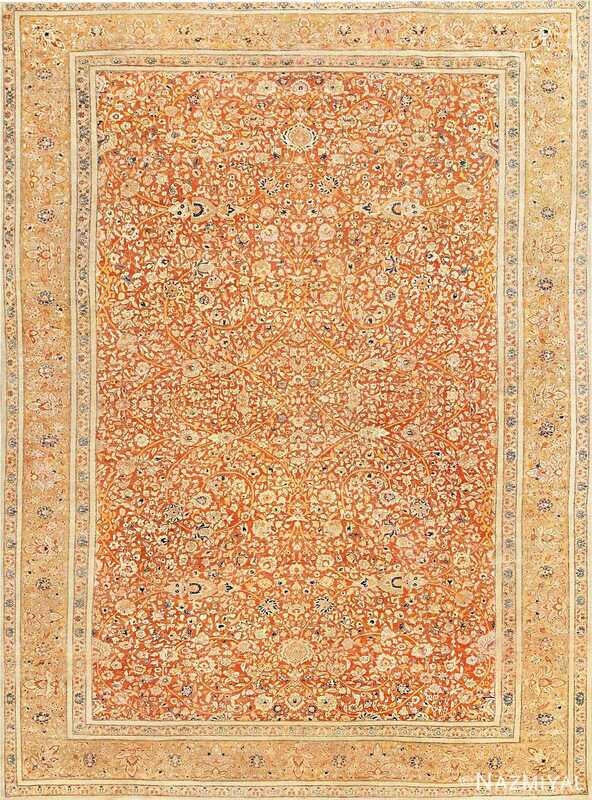 Brown and gold throughout, this Tabriz features impeccably drawn floral details and line work, as well as an exceptional central medallion. 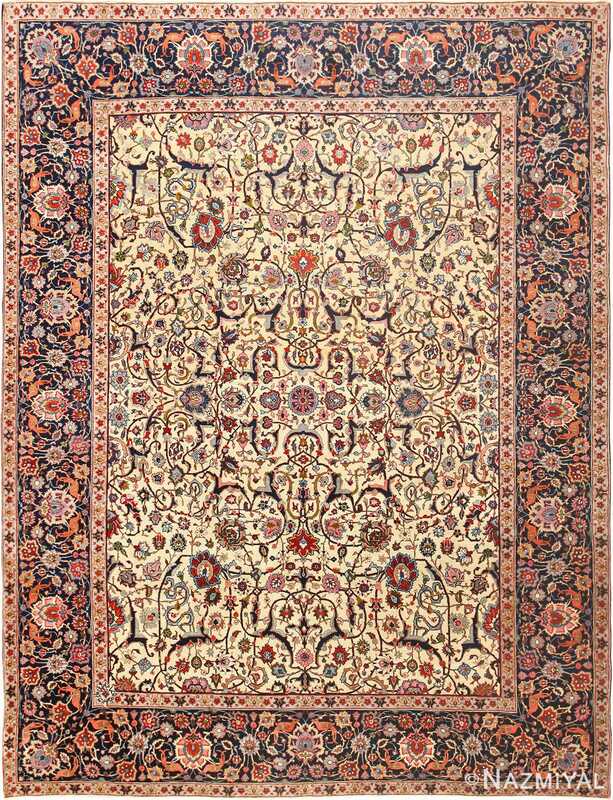 Indeed, almost everything about this antique Persian carpet is classic, from the proportions of its richly decorated borders, to the impressive intricacy of its central medallion. The low contrast pallet that is on display throughout allows for the rich detail that characterizes this carpet to come across in a more understated manner, giving it a deep sense of balance and carefully thought out design. Beautifully woven and incredibly detailed, this Haji Jalili Persian carpet is a powerful example of a cherished antique rug style.